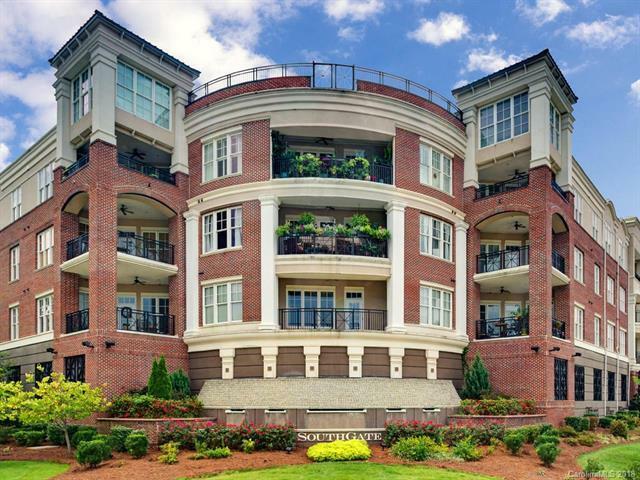 Nestled in the heart of South Park, this Condo is conveniently located within a short distance to Uptown, the Charlotte airport, and South Park Mall. This 2 bedroom, 2 bathroom home includes a split floor plan with 10 high ceilings where residents enjoy comfortable, spacious living. The 127' covered terrace can be accessed through double french doors. The secure building includes a private parking garage with assigned spaces and storage units. Choose from a nice variety of upscale dining and shopping options nearby.